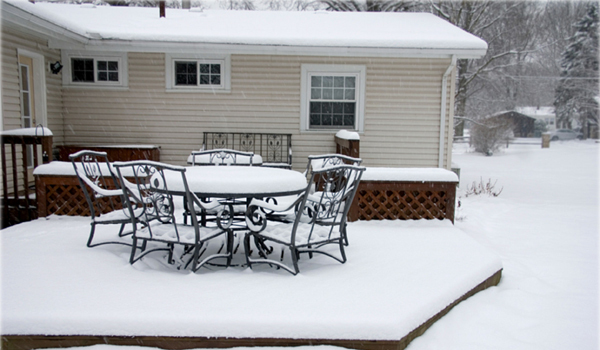 Winterize Your Outdoor Furniture in 5 Easy Steps! 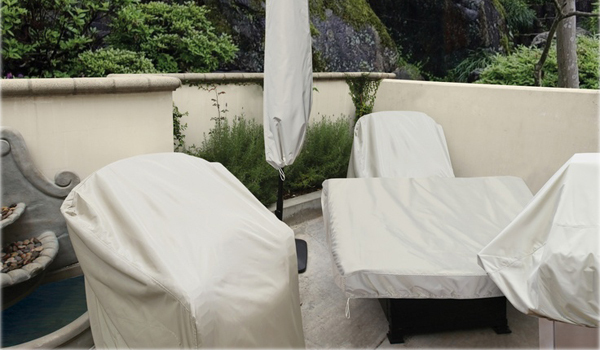 Extend the life of your outdoor furniture by following the 5 easy steps below. Leaving your furniture out in the natural elements during the winter season will significantly shorten its life span. The rain (especially here in Seattle), wind, freezing temperatures, and even snow will take a toll on your outdoor furnishings. Follow the simple steps below and extend the life of your outdoor furniture, outdoor grills, etc. 1) Start by wiping down your outdoor furniture, BBQs, outdoor heaters, etc with a clean dry cloth. It does not matter the material your furniture is made in, just make sure you get any dirt or water off. 2) Furniture covers are a must. You can buy a fitted cover (like these Treasure Garden ones that we carry) that goes over your table and chairs. Even a large tarp will do, although it is harder to secure it around. 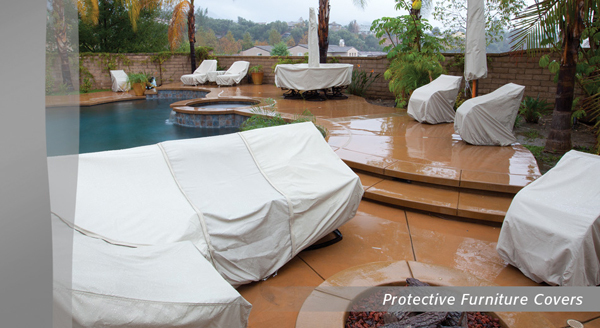 Huddle the furniture together and if possible place under a covered area of your patio. 3) Get a fitted cover for that BBQ (even if you use it in the winter) and for any outdoor heaters you might have. 4) If you have an outdoor umbrellas that you need to store, you should also wipe it down and make sure it is completely dry. Then lay it flat on a tarp and wrap it up tight to keep it safe from mold and mildew. Store in a garage or attic, it is best to keep it inside if possible. Treasure Garden does have umbrella covers as well though, that are worth looking in to! 5) If you have removable cushions on our patio furniture, think about protecting them with some sort of cover and bringing them inside to store as well. Vetra Furniture Supplying hotel furniture, resort furniture, Restaurant furniture, outdoor furniture, garden furniture, wicker furniture, cane furniture, patio furniture, poolside furniture, poolside umbrella and more. Your Blog content is really very informative and attractive that makes an adorable blog about how to winterize your outdoor furniture in 5 easy steps. Thanks for sharing great tips with us. Next Next post: Our Bernhardt Interiors Display Is Complete!